The US Naval Institute has the best report I have seen on the recent award of five contracts to five different vendors for development of conceptual designs for the projected FFG (X). I’ll look at the parent craft and offer some speculation about what Huntington Ingalls might be doing to make their NSC based offering more attractive. There are five venders but actually only four shipyards involved since Fincantieri Marinette Marine in Marinette, Wisc. 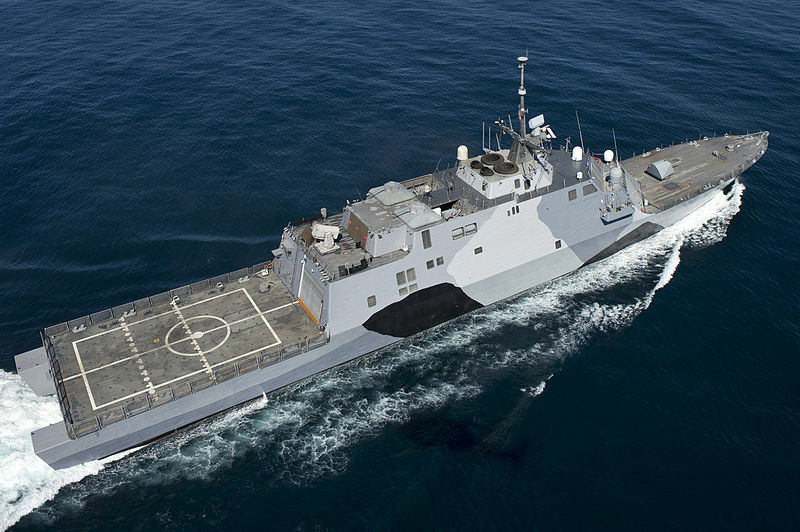 is both the primary for an offer based on the Fincantieri Italian FREMM, and the build yard for Lockheed’s offer of a Freedom class LCS design. 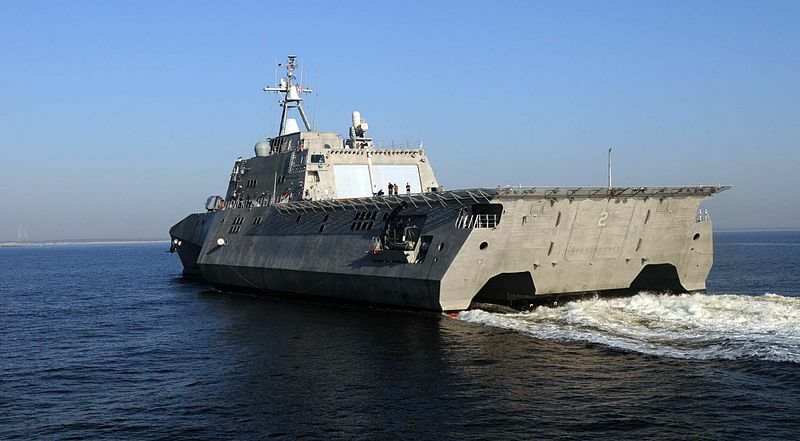 The Littoral Combat Ship (LCS) derived designs are the light weights in the competition. They both come with large open spaces that might be converted, but as built, they have limited crew accommodations. They will likely take substantial redesign to serve as FFGs. This class has exceptional aviation facilities, and functionally I find it preferable to the monohull Freedom class. Still it seems to have a fatal flaw, in that many do not like the aluminum hull and superstructure, but the Navy has not ruled out the design. My primary problem with this class is its short range. Their engineering spaces are crowded and their seakeeping has been criticized. There is a good chance that their FFG(X) variant may have a lengthened hull. What that will mean for the ships’ range is unclear. This class, with its semi-planning hull, may not take kindly to the additional weight envisioned for the FFG. These and the Navantia F-100 are the high end candidates. At about 6,700 tons full load the FREMM is about twice as large as the LCS derived designs. The FREMM comes in several versions, ASW, General Purpose, and AAW. Some of them have capabilities for land attack and Anti-Ballistic Missile Defense (ABMD). The Italian versions have an active electronically scanned array radar, but this would likely be replaced by an American system. They have a double helicopter hangar. 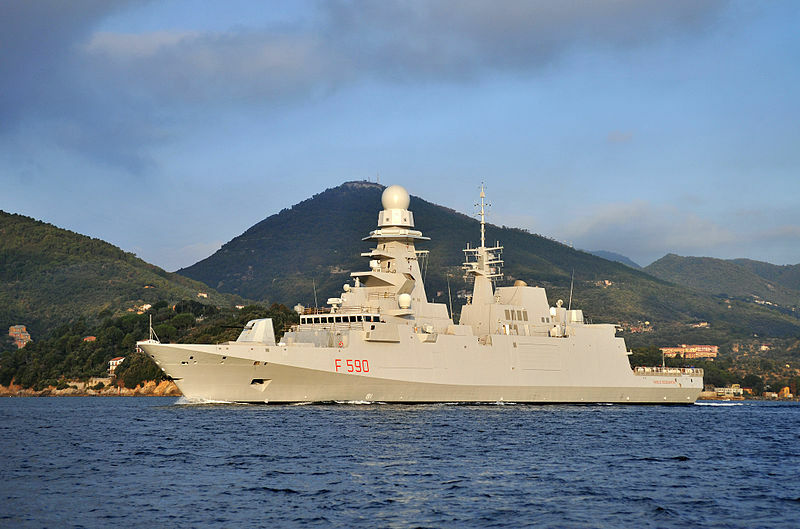 While the Italian version has at most 16 VLS, the French version of the same ship, which do not have the 5″64 gun have up to 32 VLS cells. The latest versions have a 20 knot cruise on diesels. In addition they have two 3,000 HP electric motors which can provide very quiet slow cruise (my guess, about 15 knots). It also means they have substantial reserves of electrical power for future weapons like lasers and rail guns. Neither the French or Italian versions have more than eight anti-ship cruise missiles (ASCM) but the Italian ASCMs are bulkier than likely American counterparts. The speed has been variously reported as 27 and 30 knots, but given that they only have LM2500 gas turbine, 27 knots is probably a realistic expectation. Because these ships’ systems are European, they may require substantial redesign. If these ships have a weakness it is likely that their cost will likely be near the but still under the Navy’s declared upper limit of $950M. There are actually three versions of this ship, Spanish, Norwegian, and Australian. The Australian ships are the latest version, so I would assume the offering is based most closely on these. These ships already use primarily American equipment including the Aegis system and a 48 cell Mk41 VLS. At 6,250 tons full load, they approach the size of many countries’ destroyers, and, in fact, that is the way the Australians and Spanish classify them. This already looks like an American design. The propulsion is CODOG with two 7,580 HP diesels and two LM2500 gas turbines for a max speed of 28+ knots. As currently configured all three versions of the design have hangars for only one H-60. All three versions are also equipped with no more than eight ASCMs. The likely stumbling block for this class is cost. 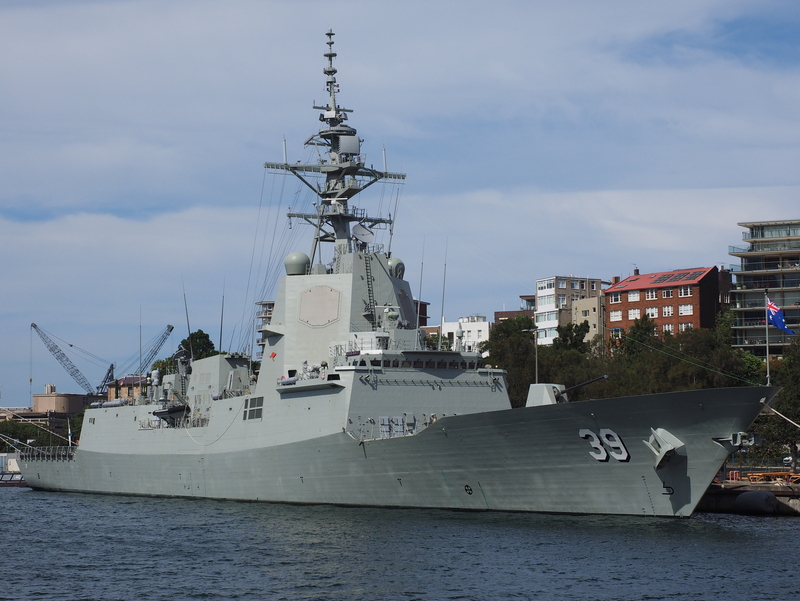 When the Hobart class was constructed in Australia the three ships cost total was $9.1 B Australian, so they cost more than Burke class DDGs. The cost of the last of five F100s built by the more experienced Spanish shipyard was probably more representative, but even there the cost was $1B US. The US shipyard offering this is Bath Iron Works, a yard known more for quality than for low cost. There is perhaps the option of building a version of the smaller 5,290 ton Norwegian version of this design which mounts only a 16 cell Mk41 VLS. HII has already shown several models of NSC based frigates so perhaps they are doing something a bit different. I suppose it is possible HII could build a stripped down version of the Burke class DDG or perhaps some other frigate design, but I will presume they will base their frigate on the Bertholf class cutter, but why the mystery? I will speculate that they plan to make some significant changes relative to their previous presentation and they did not want to tip their hand. I’ll get to the likely changes in a moment. The post has a short summary of the systems expected to be included in the FFG(X), I have noted the systems already included on the Bertholf class by having them in bold face. 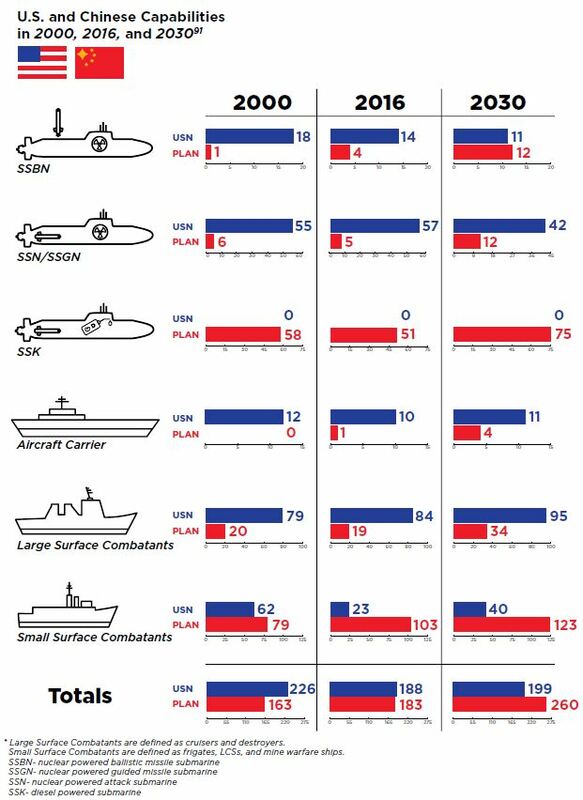 An NSC derived frigate may occupy the sweet spot between the too small LCS derived designs and the too expensive FREMM and F100 designs that are about the largest combatants (other than flat tops and amphibs) in their respective navies. . In order to make it more competitive with the high end frigates, I suspect HII is making some changes. Here is a list of things that might be done. Increase the length to make room for additional features, but keeping it under 5,000 tons full load. Using the additional length provide for more VLS, perhaps 48, or even 64. Provide for 16 canister launched anti-ship cruise missiles. Increase the generator power to allow future use of systems such as rail guns and lasers. Use an active electronically scanned radar array. Use the extra length to put another davit amidships and free the fantail and stern for ASW systems. How much would it cost to weaponize a cutter? Photo: Sigma 10514 in Mexican Navy configuration, fitted with a BAE Systems Bofors 57Mk3 57mm main guna 12.7mm remote weapon system right behind it. 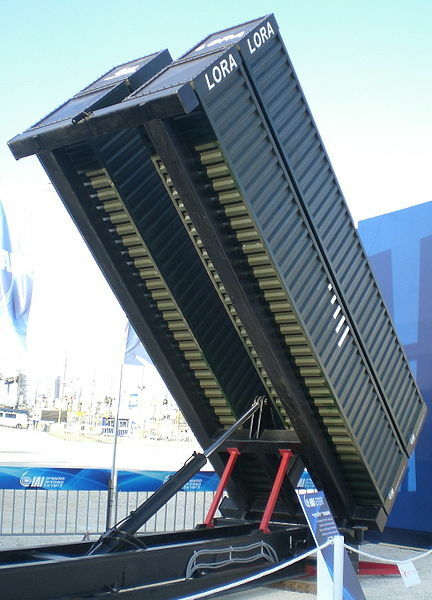 The Mexican Navy opted for the Smart Mk2 radar by Thales. The Mexican “Long Range Patrol Vessel” will not be fitted with VLS cells but a Raytheon RAM launcher will be fitted on top of the helicopter hangar. How much would it cost to turn one of our new construction cutters into a minimally capable frigate with at least some capability for anti-submarine, anti-surface, and self defense anti-air warfare? 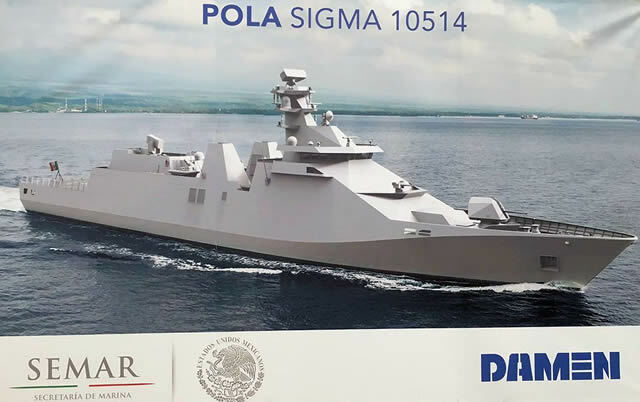 I don’t have a definitive answer but we did get a good indication along with more information about Mexico’s new long range patrol vessel, a Damen 10514 design, that is close enough to our own Offshore Patrol Cutter requirements, that I thought it might have been an OPC contender. Earlier we had an indication regarding the addition of VLS and Evolved Sea Sparrow Missiles (ESSM) when Chile ordered $140.1M worth of equipment to arm three ships. 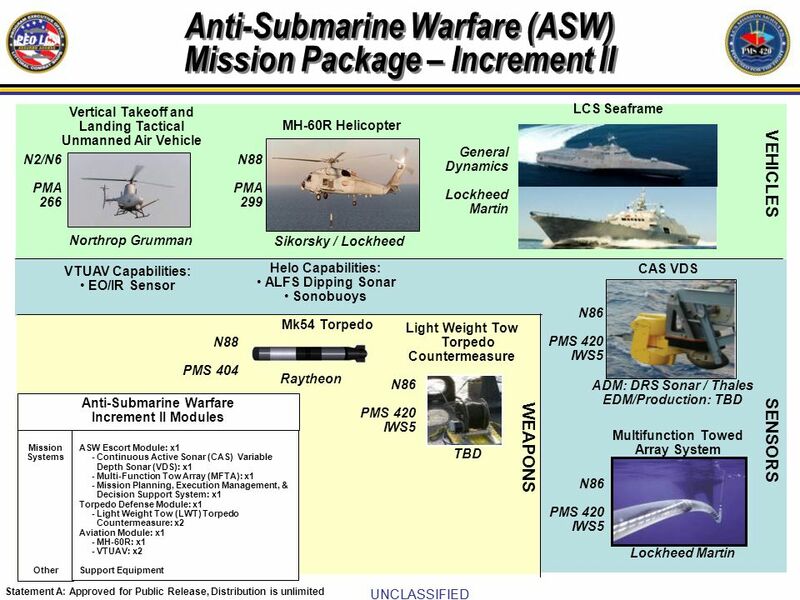 Plus we had an earlier post based on a 2009 Congressional Budget Office study (apparently no longer available on line) that suggested costs to replace the Phalanx on NSCs with SeaRAM and to add 12 Mk56 VLS and associated equipment, which could have provided up to 24 ESSM. 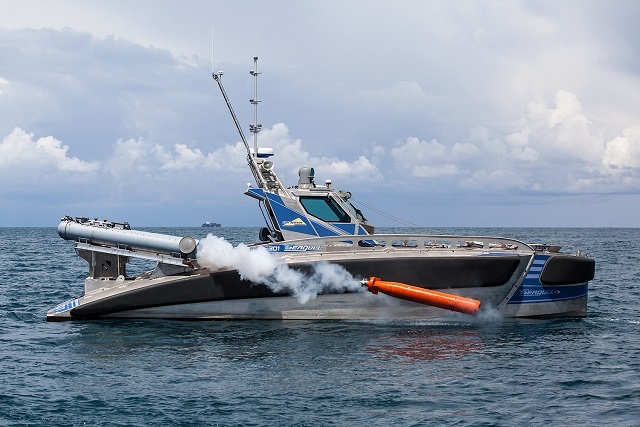 The Defense Security Cooperation Agency has issued a news release concerning the sale of weapons for the new Mexican patrol vessel, and the shopping list is a pretty extensive, including anti-surface, anti-air, and anti-submarine weapons. The big ticket items certainly made the head lines, but the ammunition for the 57mm is not cheap. Fortunately for the Coast Guard, the Navy generally pays for our ammunition and weapon systems. The cost to the Coast Guard is installation and integration, plus primarily long term personnel and training costs. TheDrive reports that IAI (Israel Aerospace Industries) has successfully tested a long ranged (400 km/216 nautical miles) ballistic artillery missile launched from a container ship. The missile is called LORA. LORA is a quasi-ballistic missile, meaning, it “has a low trajectory and/or is largely ballistic but can perform maneuvers in flight or make unexpected changes in direction and range.” It is advertised to both Armies and Navies and now has a man in the loop capability against moving targets (like ships). It is comparable to the US Army and Marine Corps’ ATACMS which has been upgraded to use against naval targets and is expected to be replaced by DeepStrike. 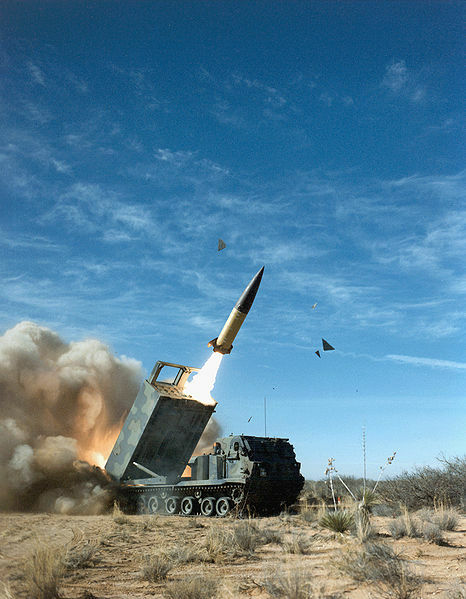 Deepstrike will have greater range than 160km/86 nmile ATACMS (nearer the treaty limit for such weapons, or about 269 nautical miles) and will require only half the space of ATACMS, permitting four ready missiles on the M270 MLRS and two on the HIMARS launch vehicles. There is already an indication that the next RIMPAC exercise will include an ATACMS launched from a ship against a ship. Missiles with similar capabilities, at least against fixed targets, are available to, and in some cases for sale by, Russia, China, Iran, Syria, N. Korea, India, Pakistan, and Hezbollah. Rebels in Yemen have been using ballistic missiles against Saudi Arabia. Like most military developments these tactical ballistic missiles may be a blessing or a curse. They might be used in a terrorist attack against the US, a potential new threat. If we could call on Marine or Army units equipped with these missiles, they might be used to thwart a terrorist attack. 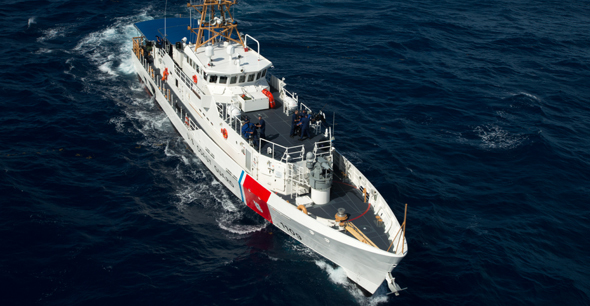 Coast Guard cutters might take them aboard as temporary, improvised. weapons or they might even be permanently installed in wartime. It could give the Coast Guard the capability to deal with peacetime terrorist threats in the form of medium to large ships that I had hoped we could provide by using LRASM. Cruise missiles have already fallen into the hands of terrorist. We have seen them used against ships off Lebanon and Yemen. Use of ballistic artillery missiles from ships to land targets would not be much of a stretch. These small ballistic missile are not that different from cruise missiles in their support requirements. The LORA is claimed to require no maintenance for at least five years. Both cruise and ballistic missiles are now commonly truck mounted. The US has basically no defense against cruise missile attack, and what little defense there is against ballistic missiles is targeted against ICBMs, not these shorter range missiles with their depressed trajectories and short time of flight. Earlier we talked about the difficulties the Coast Guard would have dealing with any terrorist attack that might use a medium to large vessel as the attacking vehicle (here, here, here, and here) . These weapons might provide a partial solution. At least some of the Army and Marine units armed with these missiles will spend time State-side. With proper planning, equipment, training, and exercises we might be able to exploit the proximity of some of these units to provide a credible anti-ship capability. A significant contributor to making this or other forms of cooperation with other military services possible would be to equip Coast Guard surface and air units with laser designators so we can make sure they pick out the right target. The option of loading Army or Marine Artillery rocket launchers on ships, including perhaps cutters and icebreakers may provide a quick upgrade. During war-time, loading these rocket launchers on cutters, perhaps placing them on the flight deck, might be a way to provide more Naval Surface Fire Support or an anti-ship capability. These tactical ballistic missiles might be particularly effective against the Russian or Chinese Navies that have had decades of effort developing countermeasures against sub-sonic, low altitude anti-ship missiles like the Harpoon, but have never had to deal with ballistic missiles. If we find ourselves at war, adding several launchers to the flight-deck, might allow cutters to become dedicated Naval Surface Fire Support vessels (with an equally effective anti-ship capability). 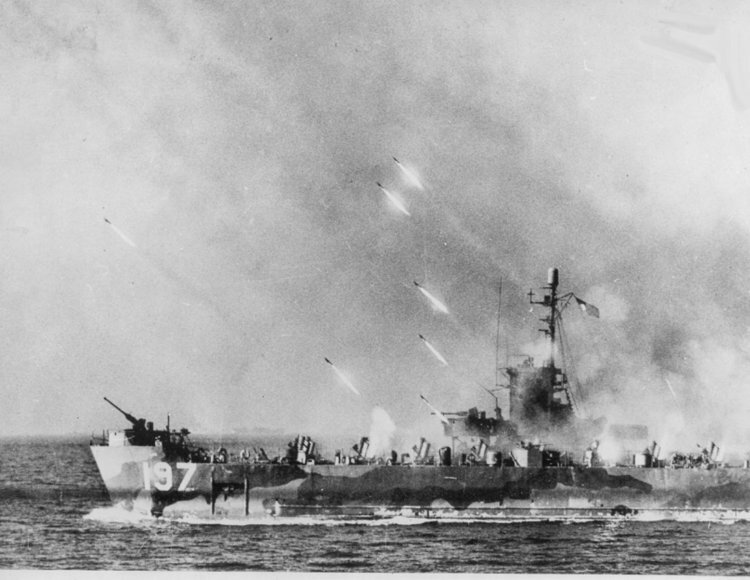 Photo: LSM(R)-197 firing rockets at Okinawa, 1945. Earlier I suggested that equipping our larger cutters with the LRASM missile might provide a means to deal with a medium to large vessel being used by terrorist. While the range and claimed precision of LRASM make it a good choice, the Deepstrike missile may be an alternative, assuming it also receives the ability to hit moving targets. While it isn’t clear that it is going to be accurate enough to target a ship’s propulsion, a penetrating warhead that comes in almost vertically, penetrates the ship from top, goes through the bottom and explodes below hull could be effective. The shorter time of flight of the ballistic missile would also be an advantage. Another bit of extemporaneous weaponry was seen recently on an Egyptian LPD. These ships had been ordered by Russia from a French shipbuilder. Ultimately the French were convinced that building ships for Russia was not a good idea. 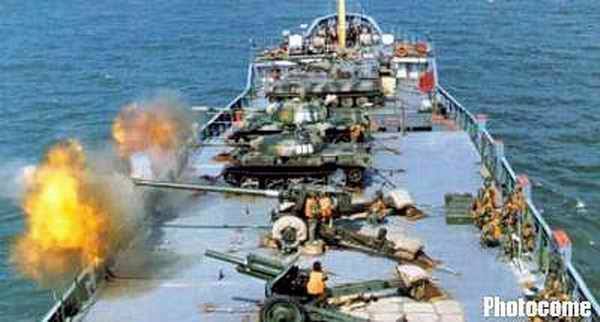 Instead the two ships were sold to Egypt, but they never received the self-defense systems that would have come from Russia. 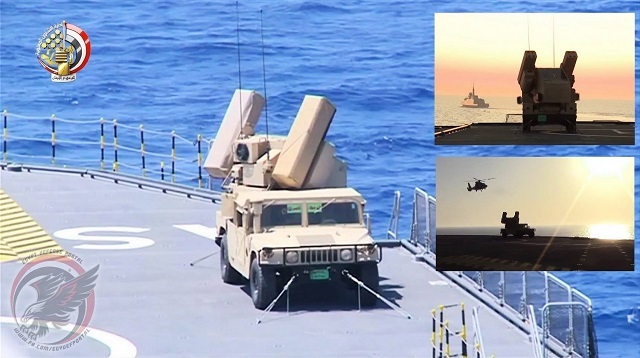 NavyRecognition reports the vessel was seen with four Boeing AN/TWQ-1 Avenger short-range air-defense vehicles secured on deck as a stop-gap AAW system. 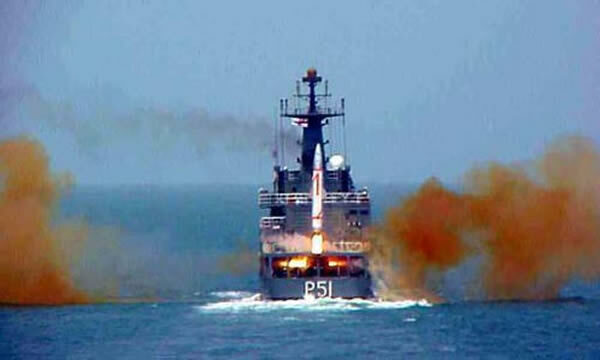 India’s OPV mounted ballistic missiles. Really a test rather than an expediency but below you can see that the Indians have launched fairly large ballistic missiles from an Offshore Patrol Vessel.